What’s more, the Nazca Lines may have been created by at least two different groups of people who lived in different regions of the desert plateau, researchers said. To understand exactly how all of these images fit together, Masato Sakai of Yamagata University and his colleagues analyzed the location, style and method of construction for some of these newfound geoglpyhs. 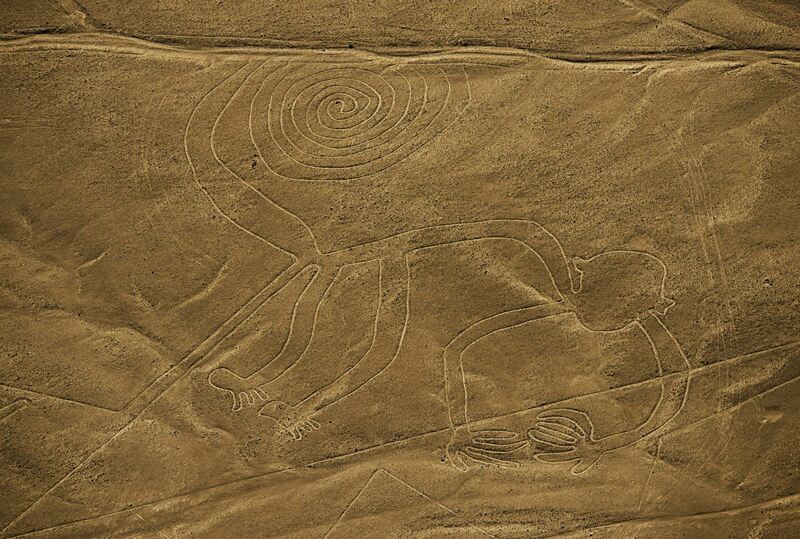 Sakai found that about four different styles of geoglyphs tended to be clustered together along different routes leading to a vastpre-Incan temple complex in Peru known as Cahuachi. Archaeological evidence, such as several temples and pyramids, as well as a trove of severed heads, suggests that Cahuachi was once a religious center where pilgrims brought offerings. “The geoglyphs of type A and B are located not only in the area adjacent to the Ingenio Valley but along the pathway to Cahuachi. Therefore it seems reasonable to assume that type A and B geoglyphs were drawn by the group from the Ingenio Valley,” Sakai told Live Science. “Our research revealed that the Formative geoglyphs were placed to be seen from the ritual pathways, while those of the early Nazca period were used as the loci of ritual activities such as intentional destructions of ceramic vessels,” Sakai said. “Even after the collapse of the Cahuachi temple, trapezoids and straight lines continued to be made and used,” Sakai said.